Prices effective February 20, 2019 and are subject to change without notice. We accept cash, debit cards, checks, VISA, Master Card, Discover and American Express. We only accept insurance assignments of policies sold by Humboldt Cremation and Funeral Service, or held by Government Agencies on behalf of the deceased. We specialize in just one thing: simple cremation. Our purpose is to provide Humboldt County families with a cost effective alternative to the more costly mortuary and other “direct cremation” providers. We carry out your wishes simply, very affordably and with dignity. Whether you are pre-planning your own arrangements or have experienced the death of a loved one, we are honored that you have chosen us, the LOWEST COST cremation service provider in Humboldt County. 1625 North Market Boulevard, Suite S-208, Sacramento, California 92834, (916) 574-7870. Our discounted offering is for those who just lost a loved one and wants a simple cremation. Additional goods and services may be selected from our itemized pricing. Payment must be made at the time of arrangements by cash, local check or credit card to get the discount. No billing or insurance assignments. HIGHER STANDARDS: Our family philosophy is to set standards that exceed the State requirements and those of other cremation providers. We have a 5 step Peace-Of-Mind Cremation Process for a positive means of identification of your loved one. OUR FAMILY OWNED CREMATORY AND OUR CARE: Once your loved one is in our care, they remain in the sanctity of our secure facility until the urn is returned to the family, scattered at sea or sent by USPS Priority Express Mail within the USA. From place of death into our care (within 35 miles radius of Eureka). Additional mileage charge of $3.50 per mile thereafter. An additional fee of $50.00 per day will be charged for sheltering and refrigeration after 8 days. We offer many beautiful urns to choose from. This includes mini urn keepsakes, heart keepsakes, picture frame keepsakes, ash beads and jewelry. We do not charge extra to transfer ashes into keepsakes or additional urns. As part of our service to you, we will post an obituary onto our website and social media. We can also help you draft your obituary and get into contact with local newspapers for obituary placement. You can submit an Obituary by emailing us, delivering it in person, or filling out our online form. Obituary placement on www.humboldtcremation.com website, providing access to an unedited obituary, and photo. We will carefully package and ship the cremated remains via USPS Priority Express Mail to any domestic USA destination. We are not responsible for any loss in transit by the United States Postal Service. ABOUT OUR DIRECT CREMATION PACKAGE: Our package includes: basic services of trained professionals and staff, transfer of remains within 35 miles of Eureka, use of refrigeration, cremation container and crematory fee. If you want to arrange a direct cremation, you can use an alternative container. Alternative containers encase the body and can be made of materials like fiberboard or composition materials (with or without an outside covering). 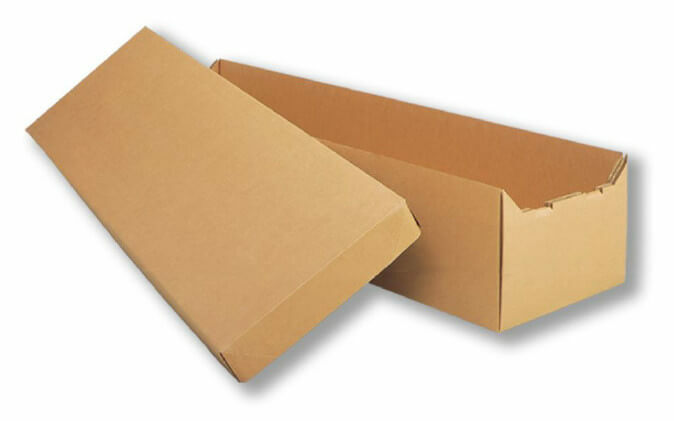 The container we provide is a corrugated cardboard container which is already included in our direct cremation charge. If the customer provides their own container, subtract $10 from the package price. Prices effective January 20, 2017 and are subject to change without notice.